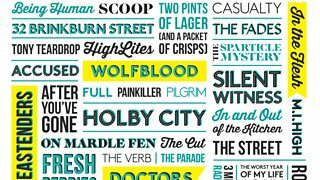 Good news for writers: if you have a production credit (a drama, at least 30 mins in duration) to your name you can apply for the BBC TV Drama Writers’ Programme 2017, a year-long initiative which will see eight writers selected to write an original series or serial script for BBC One, BBC Two or BBC Three Online. You can have written for theatre, television, radio or film but must not already be in development (beyond treatment stage) with BBC Television Drama. This is not a scheme for new, untested writers or those with significant original television drama credits. It is an opportunity for writers with striking and unusual stories to tell, to take part in a bespoke scheme with input from top television writers and BBC editorial and production staff, as well as a dedicated Script Editor and Exec Producer. Writers from underrepresented groups are especially encouraged to apply. You need to submit a CV highlighting produced credit or credits (at least 30 minutes in duration), an original drama script (which could be stage, radio, film or TV - produced or unproduced) and up to one side of A4 outlining a potential series or serial idea for BBC One, BBC Two or BBC Three Online. The script you submit must be at least 50 pages in length and a minimum of 30 mins in duration. There are eight places and the team will shortlist 20 writers for the scheme. Those 20 will discuss their pitches with the BBC Writersroom Team and Drama Execs representing all of the drama hubs, nations and regions. Writers will then be selected based on these interviews, the quality of the writer’s work and the viability of their pitch. Writers who are selected to participate in the Programme will be expected to write three drafts of a script, with dedicated Script Editor and Executive support. In addition, there will be a series of screenwriting lectures, workshops and events throughout the course culminating in a reading and presentation of extracts from the writers’ scripts. Writers will be paid a minimum script fee as agreed by the WGGB/PMA and the BBC on a favoured nations basis (currently £11,520 for 60 minutes). Expenses will also be paid. Submissions are now being accepted and the applications deadline is midnight, Monday, 10th October, 2016. Applications are by the BBC Writersroom e-Submissions System only. Find out more and apply at the BBC Writersroom website.